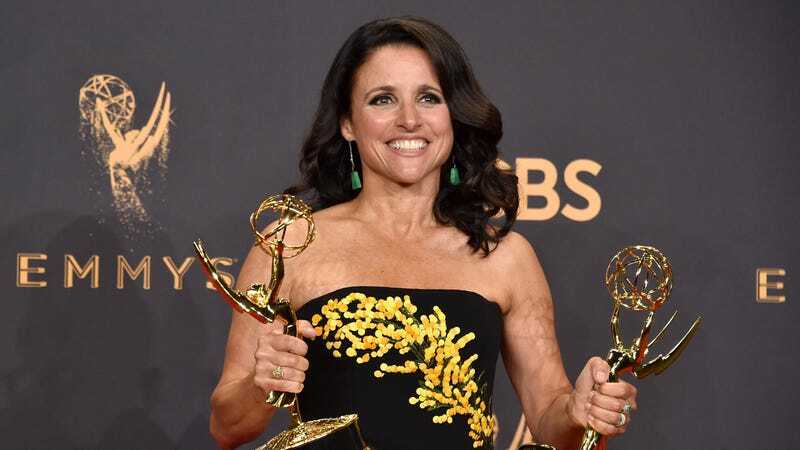 Julia Louis-Dreyfus, a national treasure and the keeper of my heart, successfully underwent chemotherapy and surgery earlier this year to combat breast cancer. Now she is in Hawaii with husband Brad Hall, having a very nice time. Louis-Dreyfus deserves nothing less than a large collection of very nice times. E! Online says Louis-Dreyfus and Hall have been vacationing in Lanai for the last few days. They look extremely happy, and I am very happy for them!!! Louis-Dreyfus will be back on the Veep set to film its final season in August. Also on vacation are Taylor Swift and Joe Alwyn, who were photographed last week on a beach in Turks and Caicos. That’s old news, but E! Online had more content to share. “They were very quiet and low-key their entire stay. It was just the two of them; they were always together,” an “eyewitness”/stalker told the publication. Oh, but there’s more: “They had beach chairs set up for them daily and usually ventured down in the afternoon,” the eyewitness said. “They swam together in the ocean and cuddled up in the water.” Thrilling stuff. Justin Bieber and his mustache have officially confirmed their engagement to Hailey Baldwin. Congrats to the kids and the number 7.